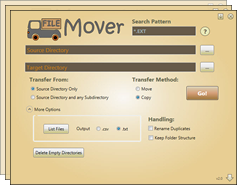 FileMover is a small application designed to search and move a group of files, based on the file extension, from one directory to another. 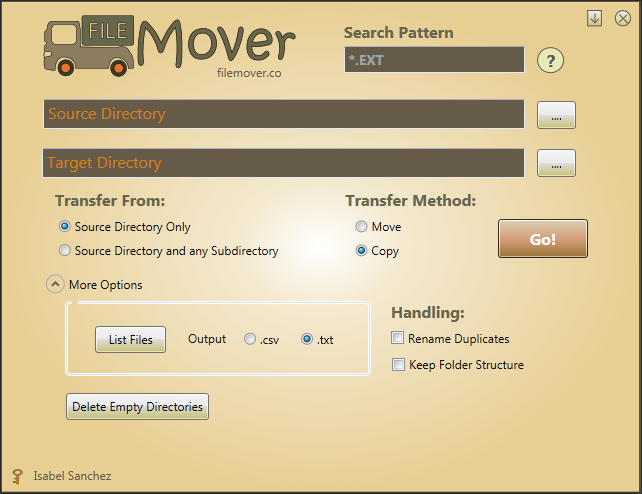 You can select to move files found in the source directory only or from the source directory and any sub-directory it contains. 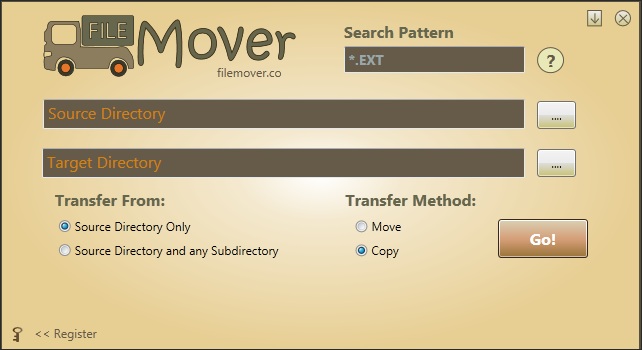 You can download and use FileMover at no charge by clicking on the Download link on the right. 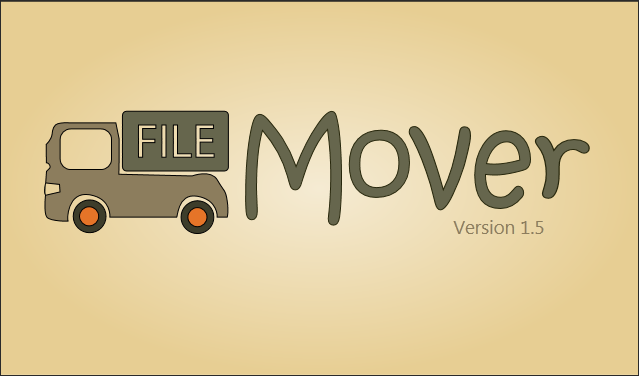 …The ability to list the files before you move or copy them. …The option to delete any empty directory left after moving your files. 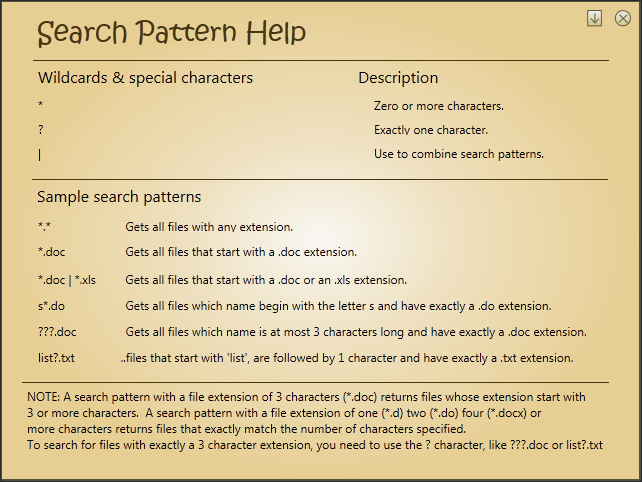 …Take it with you in a usb drive to help your friends search for and move their files. …The option to keep your folder structure when moving or copying. …The ability to choose if duplicate files get renamed. …Bug fixes and updates, and most importantly..
…you get to help me fund the loans on Kiva.org to help people around the world! Please feel free to contact me for any questions or feedback. 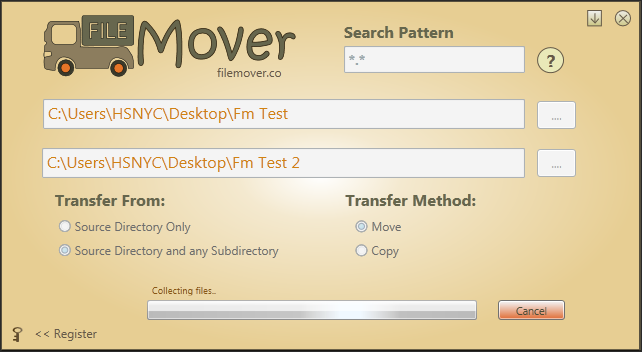 Thanks for visiting and I hope you find FileMover useful. Supported Operating Systems: Windows 8, 7, Vista, XP. The .NET Framework 4 or above required to run this application.